Catalogues. Various printed catalogues are available to assist you with valuing your stamps. Stanley Gibbons is a standard name in the stamp markets of the UK. Meanwhile, in the United States, you will often find copies of Richard John Sutton’s “Stamp Collector’s Encyclopedia.” These catalogues can be a good launching point for your research, but keep in mind they often reflect what a dealer will charge for a particular stamp that they are selling. This price differs from what a dealer is willing to pay to buy that stamp from you, as the dealer obviously is seeking to make a profit. Auction websites. Many people turn to eBay these days if they have an item to sell. Take a look at the current selection available on this popular venue to see what is commonly being sold and how much the stamps are going for. Dealer websites. Zillions of Stamps is just one example of the online marketplaces available for stamp enthusiasts. You can use sites like these to compare your stamps to others in circulation. Hobby and enthusiast sites. 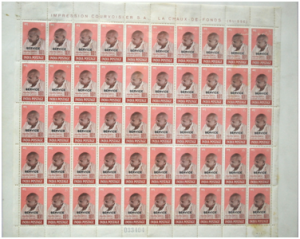 Many websites for stamp collectors include forums where people discuss a stamps value. These types of resources are helpful for connecting you with other people who share your passion for stamps and who can give you experienced opinions on the value of your stamps. If you want to buy rare stamps, you should get comfortable with some or all of these resources so that you can do your due diligence prior to each purchase. This research will help you avoid overpaying at an auction and will help you negotiate with other collectors when you want to buy or sell those same stamps. Always keep in mind that catalogue values will often differ greatly from real market auction values. 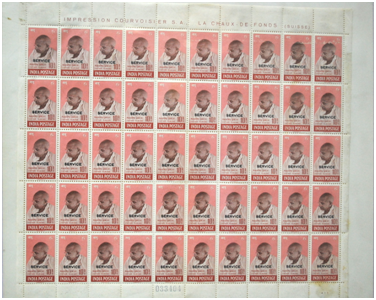 Your luck at an auction will be highly dependent on who is attending and the demand for a particular stamp. Just because there is an auction does not mean that there is a guarantee that there will be buyers, or even just buyers for a particular stamp. On the other hand, sometimes a bidding war ensues between passionate collectors who need a stamp for their collection. One of the best ways to stabilize the value of your stamp collection is to focus on a stamps value before each purchase and select those stamps which have been trending upward most consistently. Using market research tools should help you find those stamps which have only increased in value throughout the years, as historical prices are often available. By taking this systematic approach, you have a better chance at building a collection that retains, or even grows in, value.